This CD contains versions of the most basic and traditional dances. 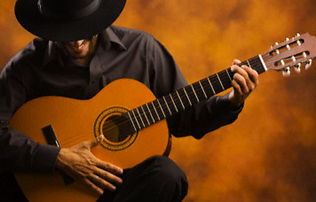 Aimed at elementary level flamenco students, this CD contains choreographies of the dances, with simple lyrics for singing and without falsetas (variations) to complicate the guitar playing. The first CD includes dancing, whereas the second one only features accompaniment. It includes caracoles, tangos de Málaga, soleares, guajiras, alegrías, tanguillas de Cádiz, fandangos de Huelva, bulerías and sevillanas, performed by José Galván (dancing), José Anillo (singing), Miguel Aragón and Rafael Rodríguez (guitar), and Pastora Galván and Soraya (rhythmic hand clapping). 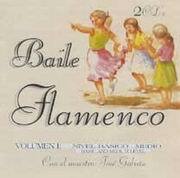 A very useful CD for students of flamenco.